Link building is one of the most important facets of SEO. In fact, while search engines are notoriously vague about what factors help determine your ranking, a Search Quality Senior Strategist at Google admitted in 2016 that backlinks are one of the top three most heavily weighted ranking factors. And while search algorithms are constantly evolving, this is one variable that is unlikely to change. Search engines view links as votes of confidence regarding a site’s authority, popularity, and relevance. Links also serve as connections tying together various sites, in turn helping search engines establish relationships between content and ideas. 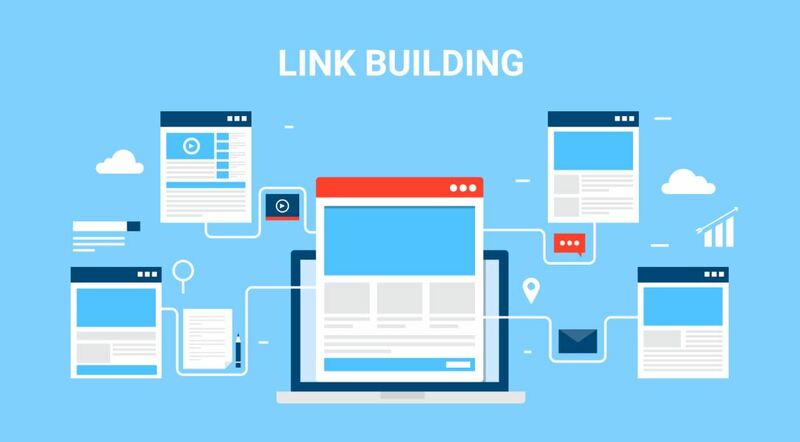 At SEO Brand, we offer comprehensive link building services that are designed to help build your site’s reputation and popularity and connect it to other trusted pages. You can’t ignore link building if you want to bring more traffic to your site. We’ll implement an effective SEO link building strategy specially customized to meet the needs of your business and get more eyes on your page. And because quality is as important – if not more – as quantity when it comes to SEO backlinks, we’ll make sure that your website is benefitting from good links and not being harmed from bad links. With our month to month link building strategy, your site will receive regular audits of every link leading back to it so that we can disavow spammy links and quickly take care of issues that might be harming your traffic and SEO strategy. Not all links are created equal. A high quality link can give your website a major bump with the search engines, but a bad link can get you flagged for a penalty. That’s why building good links and avoiding or disavowing bad links is so important, and why our SEO link building services focus on both of these key aspects in equal measure. So what separates a good link from a bad link? There are a few things, but the most critical is the authority of the linking page. The greater the page rank of a linking page, the greater benefit you get from the link. A link from a highly authoritative page or domain (think: The New York Times or Wikipedia) enhances the authority of your own site, in turn elevating it in the search engine rankings. Relevancy of the linking site. Context matters. A link from a site that’s wholly unrelated to yours won’t work in your favor, even if the site is highly authoritative. For example, if you publish a blog post about essential oils on your website about homeopathic remedies and it gets backlinked from a website about backyard gardening, that link is going to carry significantly less weight than a backlink from a website about alternative medicine. It may even harm your page ranking. The reason that spam backlinking tactics don’t work well is because search engines want your links to have a purpose on a page in relation to its content. A link to your site that was chosen by a writer or editor to appear because it’s not only strong content but strongly related to the content on the page is inherently more valuable than a standalone link in a page’s comment section. Link position on the page. There are many components on a page where links can be placed, but having a backlink in the main body copy is always going to be more beneficial than a link in another section of the page. A good link is found embedded in the main content both literally and contextually, while a link buried in a header or footer carries very little weight. With quality link building services from SEO Brand, you get a personalized team of SEO pros who will help build up your good links and remove your bad ones. Our agency experts use a wide range of tried-and-trusted link building strategies to bring more relevance and authority to your page and establish secure connections with reputable domains that can increase your page rank and traffic. In addition, we’ll seek out any bad links leading to your page and disavow them so that they can’t harm your site. We don’t believe in spammy shortcuts. Link building is a long-term process, and there’s a lot to be gained from doing it right. Contact us today to get started on improving your site’s SEO through targeted link building strategies and more efficient online marketing. Reach us by phone at 800-262-5023, send us an email at info@seobrand.net, or drop us a message through our contact page to get started.